Click below to see all the pictures from the 2018 Annual Meeting! The Annual Meeting brings together the residents and landowners of Warren County to celebrate the stewardship and conservation of our natural resources. You are invited to a wonderful evening at Valley Vineyards! There will be good food, entertainment, and great community. We are excited to welcome the WAVE Foundation and their traveling freshwater Sturgeon cart, in providing entertainment for the evening. We also want to give a big thanks to Valley Vineyards for allowing us to hold our meeting at their beautiful space in Morrow. And don’t forget about our excellent door prizes! We encourage you to visit the more than 20 local business have made donations to this year’s takeaways. 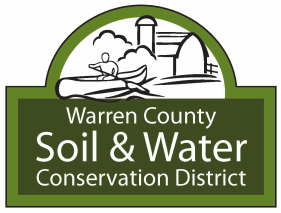 The Ohio Soil and Water Conservation Commission will cause an election of Supervisors of the Warren County Soil and Water Conservation District to be held in accordance with Chapter 940 of the Ohio Revised Code. Residents or landowners, firms, and corporations that own land or occupy land in Warren County and are 18 years of age and older may vote for Supervisor. A non-resident landowner, firm, or corporation must provide an affidavit of eligibility, which includes designation of a voting representative, prior to casting a ballot. ​ David Brausch. David, along with his five siblings and parents, settled in Warren County Ohio back in 1971. Although his Dad did not farm their 80 acres, the family (girls included) learned the value of hard work in hay and straw fields across the county. Hauling hay and straw to horse farms helped put the six kids through college. By the time David reached high school, he realized he had a passion for agriculture. That passion led him to The Ohio State University where he earned a BA in Agricultural Systems Management. After graduation in 1994 he returned home to start building his farming business. David currently farms 1400 acres, with the support of his wife Stephanie and their two boys MJ who is 6 and Evan who is 5. In an effort to build organic levels in his clay soils, David started composting about ten years ago. The compost provides most of his potash and phosphorus. It also promotes water infiltration and water retention. Recently David has been involved with Howry Brothers Seed and Chemical retailing agricultural inputs. Earlier this year, he earned his certified crop advisor license. David has served on the Ohio Corn and Wheat grower’s board and is a member of the Ohio Farm Bureau. David believes organic matter is the backbone of soil health. But even with his composting efforts, he will tell you he has a long way to go in regards to being a conservationist. Two things he will be trying to implement on his own acres would be decreased tillage and more utilization of cover crops. He feels water quality and soil conservation will continue to be under the microscope in Ohio for the foreseeable future. All sectors, especially agriculture, will be asked (if not mandated) to do more to protect water quality and conserve soil, according to David. His goal if elected to the board, would be to further educate himself with the issues and in turn be able to help facilitate conservation practices across all business sectors in the county. Bruce Goodwin. Bruce, current Fiscal Officer for the Warren County Soil and Water Conservation District believes that “Soil is Life.” The Goodwin Family can trace their Harlan Township farming roots all the way back to the 1820’s when their family came from West Virginia. Bruce is a graduate of Wilmington College, has three daughters and 5 grandsons. He and his wife, Carole, farm 2400 acres near Pleasant Plain as the Goodwin Farms Grain and Beef Operation. Farming’s connection to soil has prompted Bruce to protect the soil resource base and water quality by installing grassed waterways, WASCOB’s, manure storage and heavy use pads for livestock. He has been no-tilling since 1984 and uses cover crops when at all possible. Bruce has been a Pioneer Hi-Bred Seed Sales Representative since 1984 and a council member for the Village of Pleasant Plain for over 30 years. When asked about his work on the Warren County Soil and Water Conservation Board, Bruce responds that, “It is about giving back to the community, keeping water clean and soil on the ground.” He believes that there is a disconnect between todays youth and our natural resources. He believes the solution is “kids need to turn off the screens and get outside.” He also wants to re-connect residents back to soil. Bruce Goodwin was elected to the Board in 1995 and hopes for re-election so that he can continue to serve the community while promoting the wise use of Warren County’s natural resources. Samantha Steiner. Samantha is a lifelong resident of Warren County. She is a graduate of Fenwick High School and attended The Ohio State University where she received her B.S. in Animal Sciences and minored in Ag Business. She is the owner of Dogwood Farm, where she raises and sells beef, chickens, goats, Thanksgiving turkeys, fresh eggs, and grows produce. Samantha is a member of Farm Bureau and an advisor of the West Turtlecreek Hustlers 4-H Club. Over the past 6 years, she has served as chairman of WCSWCD, been an Area 4 Director, and served on committees at the state level for the OFSWCD. Mrs. Wilkerson attended BGSU and received a Bachelor’s of Science in Education and Masters in Curriculum and Instruction. In graduate school, she worked for and helped develop the curriculum for a program called Project EXCITE geared toward teaching middle school students about environmental health issues. She grew up in Little Miami and graduated from LM, and has been teaching 7th grade science at LMJH for 15 years. For several years now she has been integrating stream quality monitoring trips through the Soil and Water Conservation district with her students. Prior to the first stream visit, she developed a variety of learning stations to help students understand how and why we collect macroinvertebrate data. Stations also included information on what types of water pollution there are, and which types of pollution are the biggest problem in our local Little Miami River Watershed. Mrs. Wilkerson began a Nature Club this year to let students further explore our local stream and wildlife, and brought in guest speakers from the ODA to teach students about invasive species like the Asian Longhorn Beetle and how to use leaves to identify the trees that these beetles are found in. She is an inspiration to the future conservationists of Warren County! Valley Vineyards is located along the hills and valleys of the Little Miami River in Warren County, Ohio between Dayton and Cincinnati. The region is comprised of glaciated soils especially beneficial for growing premium wine grapes.